Heil, mein friend. Veli pleaz-t to meit you. Mi name iz Adolf, and contrary to popular belief, I um a veli nice-t mahn. Trust mi, svein-hunt. I like ze cha-cha. I like ze ping-pong. I like ze funni looking clowns wiz ze bik nozez. Plus letz not forget I also like ze documentary made about mi in 1958 that lasts for 53 minutes. YOU MAY NOW GO!!!! The narrator of this feature length documentary -- Westbrook Van Voorhis -- asks himself a very important question at the beginning of this piece: who is Adolf Hitler? However, to help him answer his own question, this orated program is garnished with numerous snippets of archival footage, which tries it's best to tell a rise and a fall of a very harsh time indeed. How was Hitler able to rise above his own humble origins to reach a position of power? What was the Nazi Party? And how did they help Hitler dominate Germany? What was the Munich Pact? Was it really 'a treaty' that lead to World War 2? When did Germany's invade Poland? What was Hitler's relationship with Eva Braun like? Bi-polar? Denmark, Norway, Holland, and Belgium, did they all fall to German might? When was France forced into an armistice by occupying forces? Isn't it strange that Germany attacked there one time allies, Russia? When did the Japanese army invade Perl Harbor? What happened to the prisoners of war? How did England and America fight back? Did D-Day lead to surrender, sacrifice, and suicide? Now before I give you my spiel on 'The Secret Life of Adolf Hitler', please allow me to present you with some goose-stepping facts first, OK? (1) Hitler was born in Austria on the 20th of April, 1889. (2) As a child his nickname was 'Adi'. (3) Hitler's farther was called Alois, his mother was called Klara, and his sister was called Paula. Moreover, he also had four other siblings who died during childhood -- Gustav, Ida, Otto, and Edmund -- plus a living step-brother and step-sister named Alois and Angela respectively. (4) Adolf's application to the 'Vienna Academy of the Arts' was turned down two times. He never applied again after that. (5) Hitler spent four years living on the streets of Vienna, trying to sell postcards of his artwork to make some money. (6) Adolf was awarded two Iron Crosses for his actions as a soldier in World Ward 1. (7) It is theorized that he became anti-Semitic when a Jewish doctor mistreated his dying Mother of breast cancer. But it has also been stated that it could be something to do with his questionable Grandfathers origins. (8) In 1919 Hitler became the 55th member of a small anti-Semitic party called the 'German Worker's Party'. Later the name was changed to the 'Nazi Party'. (9) Adolf was sentenced to five years in prison in 1923, because he attempted to over-throw the German government in a political coup. He only served nine months though. (10) Hitler was granted German citizenship in 1932, and won the election with 37.3 percent of the vote. The rest is now history. 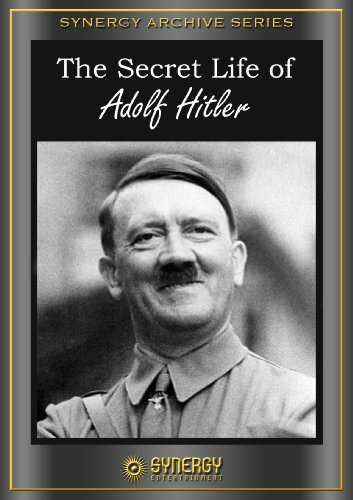 OK, so now that I have all of that off of my chest, what's my 411 on 'The Secret Life of Adolf Hitler'? Well, for a start, I have to say that I really did enjoy watching this timely documentary. Granted, it was very 'one-sided' on its account. Plus I have to say that the narrator of this piece, Westbrook Van Voorhis, did sound a mite too happy at the end of it, when he recounted how the Germans killed each other when they knew they were loosing the war. Nonetheless, as a documentary goes, it's not a bad one really; and I did learn quite a lot from it too. For example: I never knew that Hitler was a painter and decorator, or that his 'bit on the side', Eva Braun, was a keep-fit fanatic. Moreover, it was very strange to see that footage where the 'Axis' were dining with one another, knowing that they would kill the each other by the end of the war. Oh! Plus Eva and her mates in their bikinis was a right sight for sore eyes I can tell you (in more ways than one). However, the one aspect that this documentary has not present us with, is what would have happened if the Germans did win the war and not the allies! Alright. I know that this is a rather redundant question in the scheme of things, and does not need to be present in a piece such as this. Nonetheless, it is a question that does need theorizing, doesn't it? Because it would then give us a more balanced and subjective stance on history. Listen, I am not trying to state anything derogatory here -- I would have just liked to have seen a counterpoint is all -- something that clarified 'a state of play' on 'a less focused story'. Anyway, enough of my stuff and nonsense -- all in all 'The Secret Life of Adolf Hitler' is very good piece of propaganda filmmaking. Showing in mores way than one how things were done in the good old day's. Times two. Agreed Boy George?